Thomas Almon Barton was an avid golfer, whose unique monument shows his 1930's clothing, bow tie, cuffed pants, hat, golf clubs, and bag. 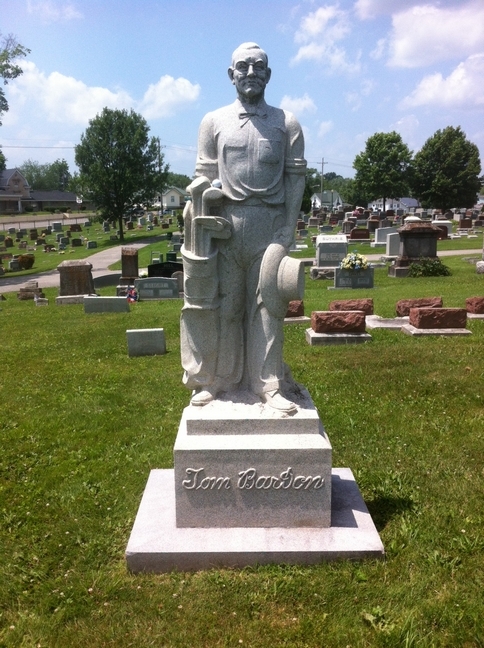 Even though the Barton monument is granite, it was crafted locally by Bedford stone carvers. Barton was born in Belfast, Maine. He is buried next to his wife, Maude Duncan (1889-1972).